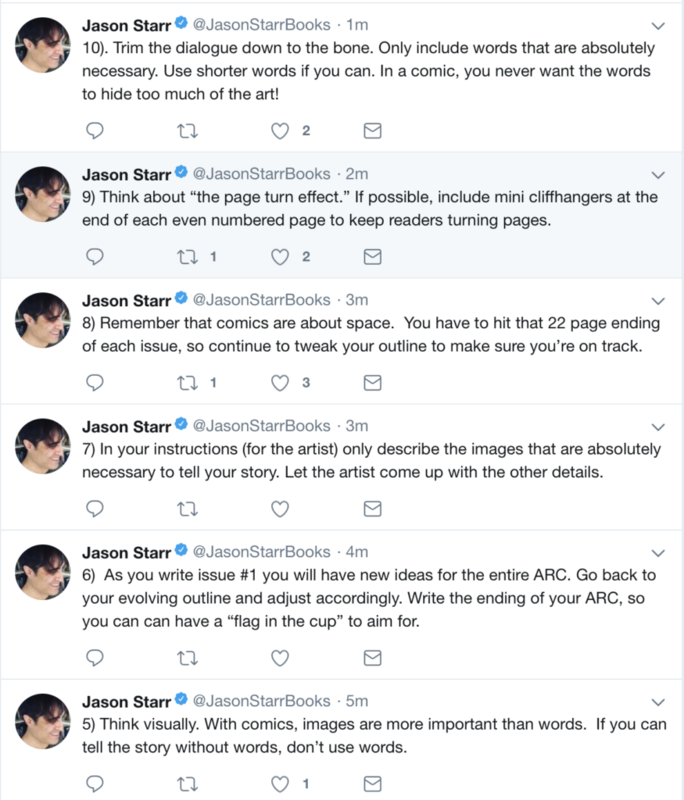 Solid advice from Jason Starr. 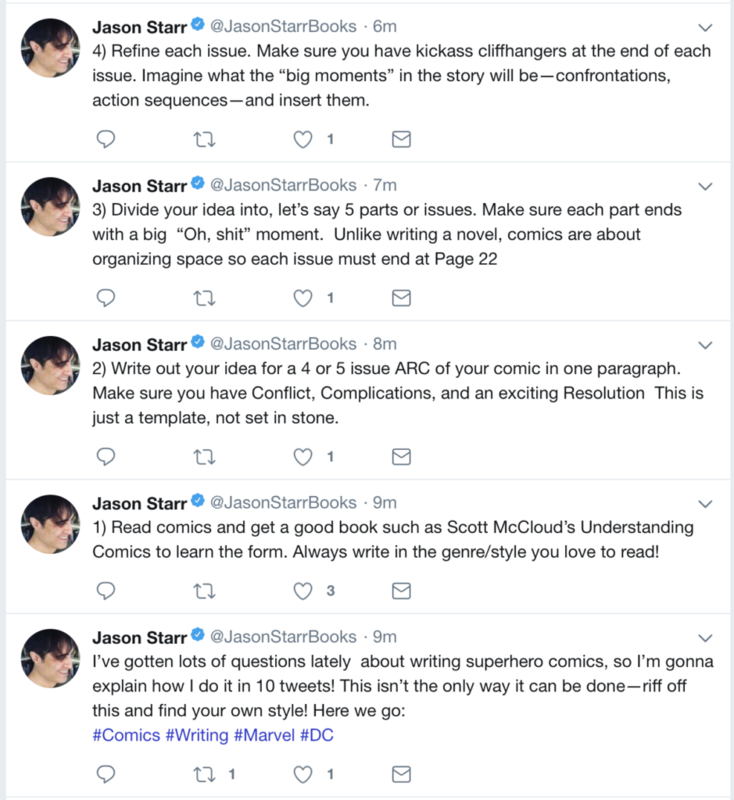 (good novelist, too) And, since I don’t have time right now to search up how to embed eleven tweets (“Moment?” “Storify?”) when they’re not self-grouped with some hashtag—like I’d know then, either—I just screencapped them out. 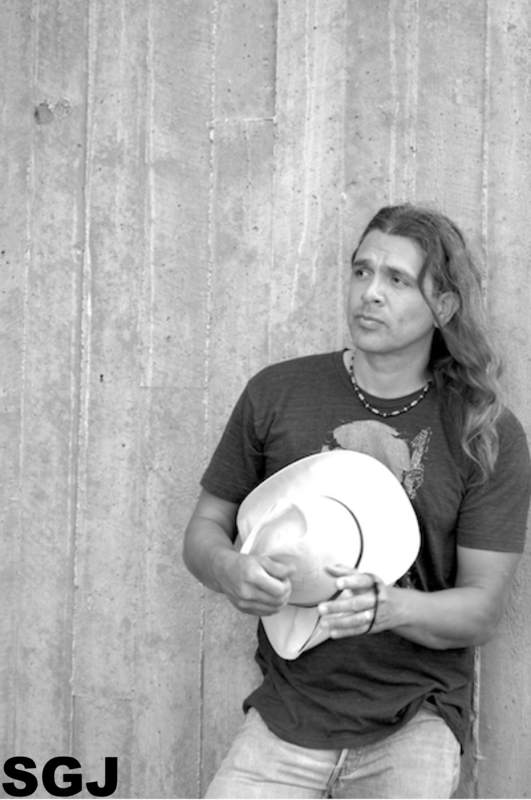 So, they are, all upside down.